Do you suffer from sharp heel pain? Is your heel pain constant, nagging and debilitating? Unfortunately, almost everyone will deal with heel pain at one time or another. What’s worse, sharp heel pain can happen to anyone, regardless of physical fitness, gender or even body type. In fact, those who are physically active are many times at more risk for heel pain or heel spurs. 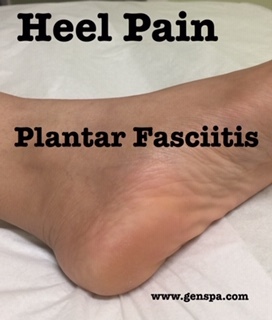 The plantar fascia is a thick, fibrous connective tissue that runs from the heel to the ball of the foot. This strong and tight tissue helps support and maintain the shape of the arch. It is also one of the major transmitters of weight across the foot as you walk or run, which places tremendous stress on the plantar fascia. When you have plantar fasciitis, the plantar fascia becomes inflamed and degenerative. This makes normal activities quite painful. Symptoms are usually at their worst in the morning after sleep. At that time, the plantar fascia is tight, so even simple movements stretch the plantar fascia, causing severe heel pain. As you begin to loosen the plantar fascia, the pain usually subsides, but often returns with prolonged standing or walking. Usually, heel spurs form in response to plantar fasciitis. However, while 70% of patients with plantar fasciitis have a heel spur, X-rays show that almost 50% of patients with no symptoms of plantar fasciitis also have a heel spur. As a result, many people have heel spurs and do not even know it. Some people suggest surgery as a solution for heel pain and heel spurs. However, surgery is invasive, expensive, and has long recovery times. Even more risky, with surgery, your feet may never be the same, and your heel pain may continue. Just imagine a self-healing for heel pain that you can do it without surgery. 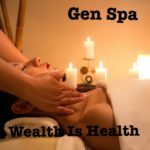 This treatment is simple procedure and it takes only one or two visit to Gen Spa. We will help you to a complete comfort and have the energy to feel better and do more. This is proven method base upon what our clients feedback. This is simple therapy but you will experience great relief in your first visit. 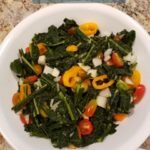 The key to healing is to bring circulation to the area by loosen it up the muscles.